They told us that we must go and eat the famous Chicken Rice Ball during our trip to Malacca. Yes, we did tried the Chicken Rice Ball as our lunch by one of the shop in town. 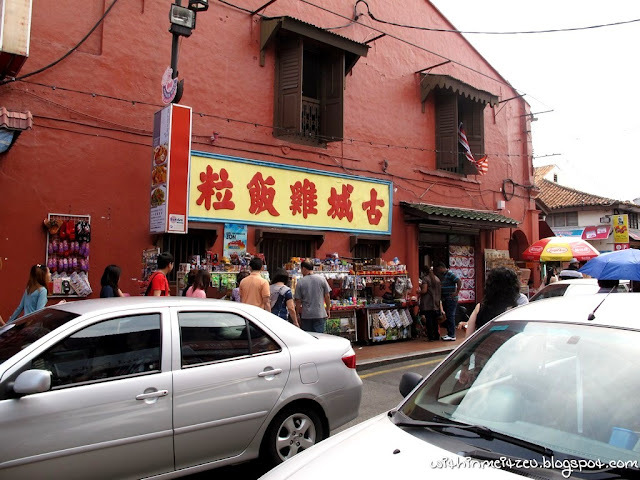 I was walking with both of my parents and I saw few shop carrying the same name around Jonker Street, therefore, a perception of mine the shop might be famous and having tasty Chicken Rice Ball to eat. 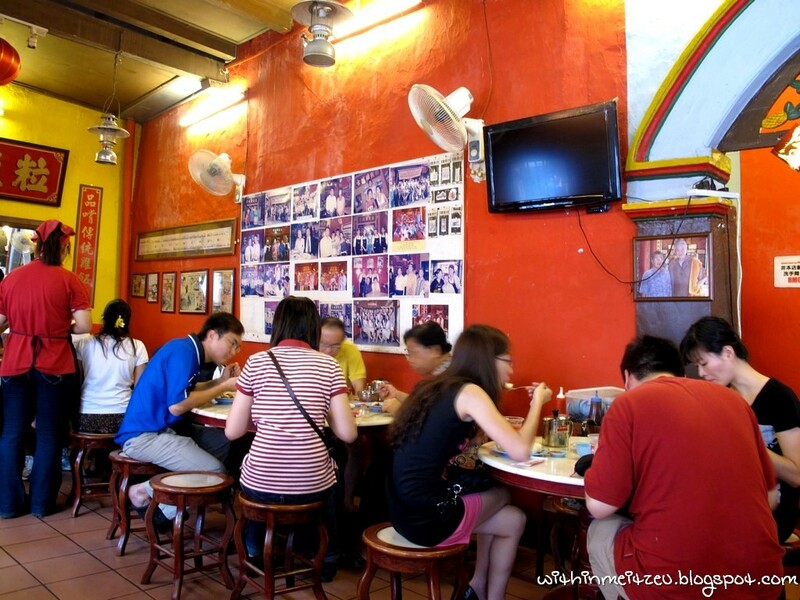 Yea~ Went in to the restaurant and had a seat, ordered our Chicken Rice ball and other additional dishes. 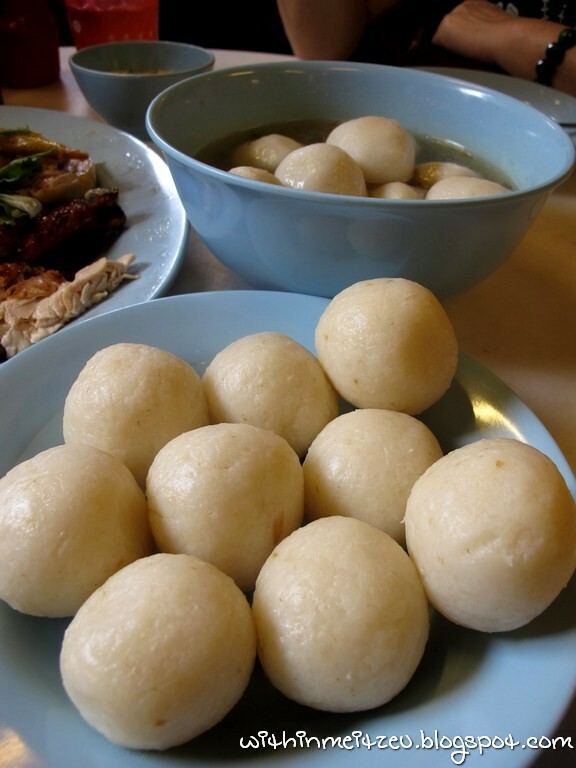 Well, we were a bit disappointed with the Chicken Rice Ball during our lunch and I think my aunt who is originally from China can make even better rice balls! Yummy!!! My mom was laughing when I said that! I don't know why, but I saw many photographs of movie stars together with the person in charge of any stalls, hawkers, restaurant especially and etc. Indirectly, promoting their business we may see. 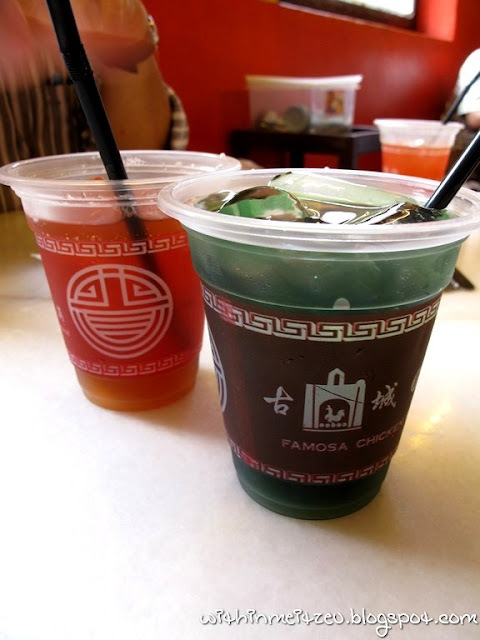 Ohh~ Malacca~ I miss your Cendol! Daniel : -__-" Must go la! 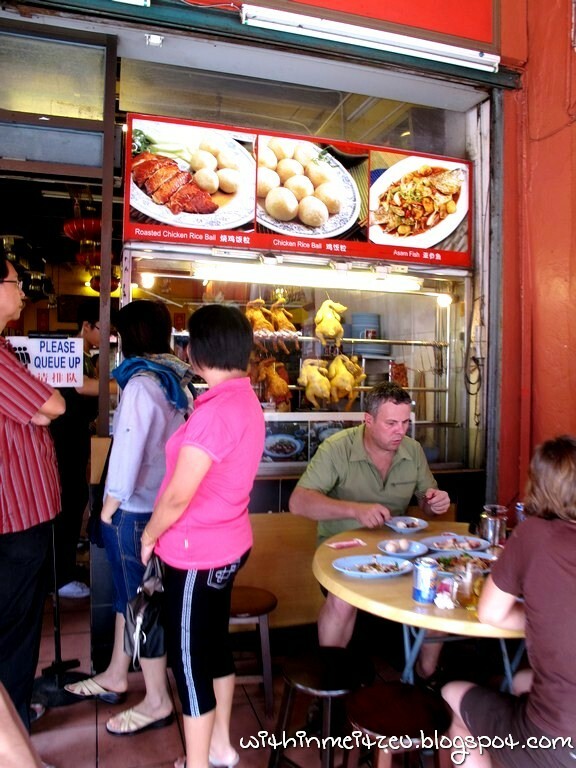 Looks tempting, esp the roasted chicken though I have not tried the chicken balls before. Never had chicken rice balls before, why didn't we have stuff like that in Sabah? 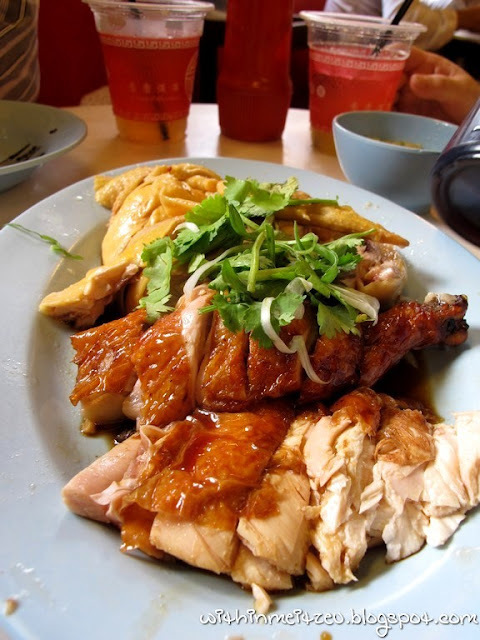 We have Penang Char Kuay Teow or Ipoh Hor Fun, I'm surprise there weren't any businessman who has thought of introducing Malacca Chicken rice balls here. 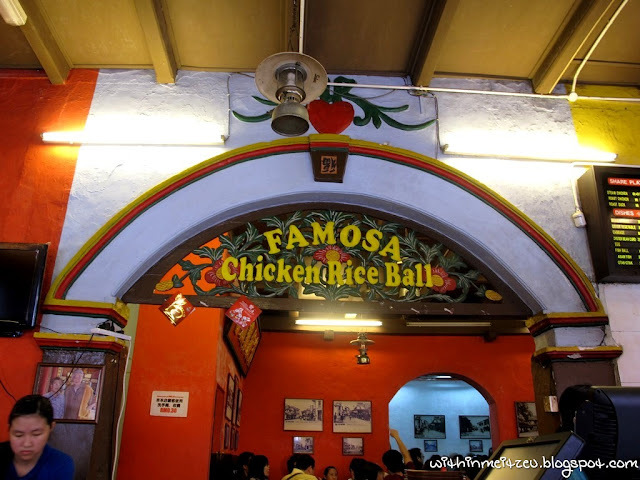 Farmosa chicken rice ball shop at Jalan Bendahara behind Renaissance Hotel is RACIST. I enter about 8pm on29Dec12 and asking if they still accept order,and i order accordinly.About 10 minute later two young chinese couple enter. Their food arrive,but mine never arrive. I call waiter asking my order n why take so long, stupid waiter ask me back what i order. After they checking and comeback say food finish. If finish why they still take my order n why people who coming later than me they can serve. Is this because I dont speak chinese n look like Malay? So dont ever ever go to this place if you dont want to be humilited. Muabe they think I dont have enough money to pay my order. Very bad services.